The paper also finds that lobstermen in southern New England could have used the same techniques to prevent or at least slow the collapse of their fisheries — even in the face of climate change — but they didn't. 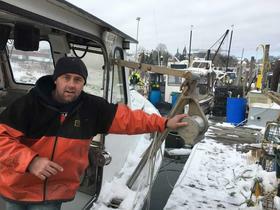 Cape Elizabeth lobsterman Curt Brown has been hauling traps since he was a kid. He says he quickly learned that when he pulled up a female lobster, covered in eggs, he was looking at the fishery's future. "You get used to seeing lobsters and then you see a lobster with eggs and it's whole new animal," he says. The underside of the tail is just covered with eggs." 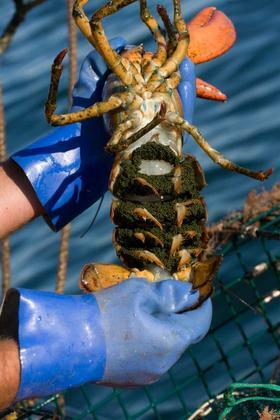 Since 1917, Maine lobstermen like Brown have used a technique known as "V-notching": when they found an egg-bearing female in their traps, they would clip a "V" into the end of its tail, and throw it back. The next time it turns up in someone's trap, even if it's not showing eggs, the harvester knows it's a fertile female, and throws it back. Later, the lobstermen also pushed the Legislature to impose limits on the size of the lobster they can keep — because the biggest ones produce the most eggs. "I use my measure right here, right on the measure, at the end of the measure, is a little tool in the shape of a 'V,'" Brown says. "So you just grab the lobster underside of the tail just like that and it cuts a V-notch right in the tail. Quick, painless, throw her back in and let her do more of her job." And those fertile females have been doing that job very well in Maine. Since the 1980s, lobster abundance here has grown by more than 500 percent, with landings shooting up from fewer than 20 million pounds in 1985, to more than 120 million pounds in 2015 with a value of more than a half billion dollars. Andrew Pershing, chief scientific officer at the Gulf of Maine Research Institute, calls it, "a huge, huge increase in lobsters." He's one of nine scientists including fishery specialists, climate modelers and the National Oceanic and Atmospheric Administration, who worked on a paper just published in the Proceedings of the National Academy of Sciences that documents how harvester practices and other factors have contributed to the Maine lobster fishery's success. Climate change, he says, has been the most important variable. The Gulf of Maine's waters have been warming faster than any other major water body in the world. 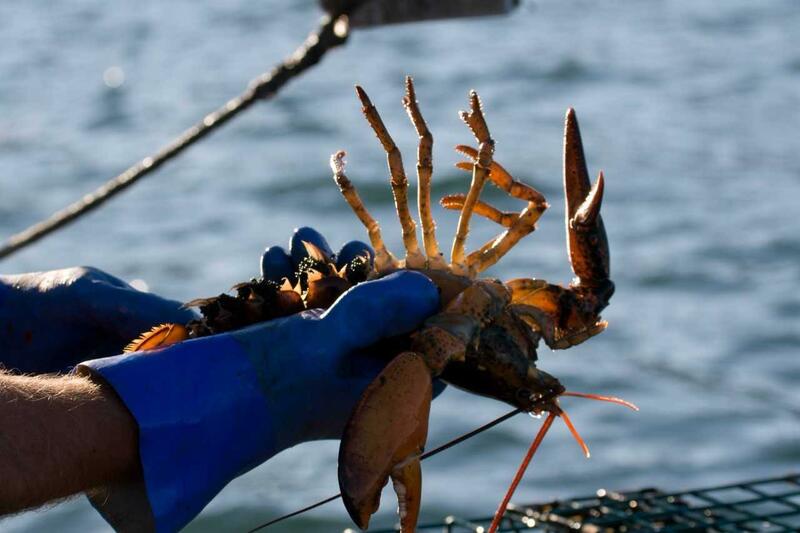 Off the coast of Maine, that's actually been a boon for lobster, which reproduce most prolifically in water that's a bit warmer than the Gulf was until just the past few decades. "And because we since about 1999 have been at really optimal temperatures for lobster, it's been about 50 percent that and then 50 percent the management that we have here in Maine, (where we protect the older lobsters, where we have the special V-notch protection for the reproductive females)," he says. "And they really are almost co-equal in the model." In other words, lobster population growth was twice what it would have been without Maine lobstermen’s conservation practices. There are other synergies at work, Pershing says — the warming-driven collapse of the cod fishery, for one, which took one of the lobster’s top predators out of the equation. But the scientists bore down on management techniques, thanks to a difference in regulation between the Maine lobster fishery and the fisheries to its south. Simply put, V-notching and size-limit regulations were much weaker in southern New England, Pershing says. So when water temperatures tipped above optimal levels in southern New England early this century, fisheries there weren’t as resilient as they could have been, and they collapsed. "If they had managed the fishery the way Maine did, they would still have a fishery," he says. "It would be smaller than the fishery that they had in the 1990s, but they would still have a fishery for sure." 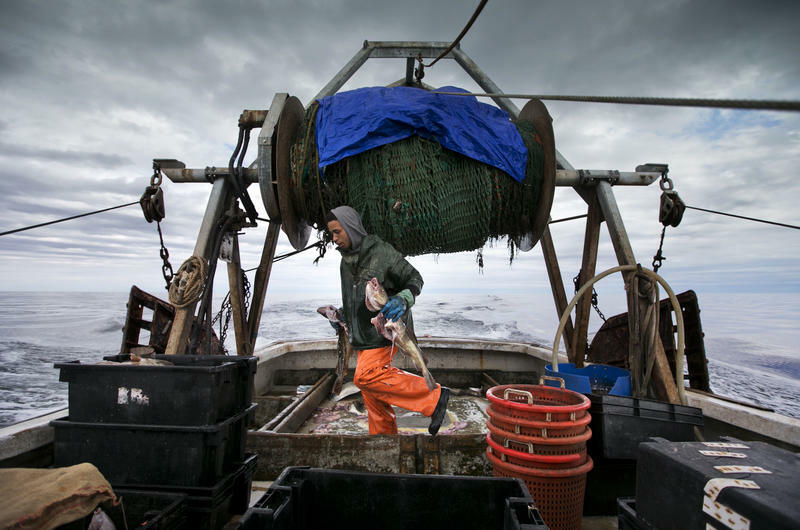 In the world of fisheries management, Maine's story is unusual. Rather than quotas being dictated from above, the call for specific regulations was led by harvesters. Patrice McCarron, executive director of the Maine Lobstermen's Association, says that dynamic should help Maine's lobster fishery to persist, even if warming continues. "And that's the really, really nice healthy thing going on in 2017, 2018 that didn't happen earlier in the 80's and early 1990s is that the scientists do talk to industry, they do listen to the industry and we actually see response, which is really unimaginable," McCarron says. There are some signs that in parts of the Maine fishery, the boom may be over as the temperature sweet spot for lobster reproduction moves north and east into Canada. Recent data and the new model are predicting that, but Pershing says that in a warming world, protecting those big egg-bearing lobsters will significantly temper decline here. Lobstermen, he says, have shown that by committing to smart management, to some degree, they can make their own luck. 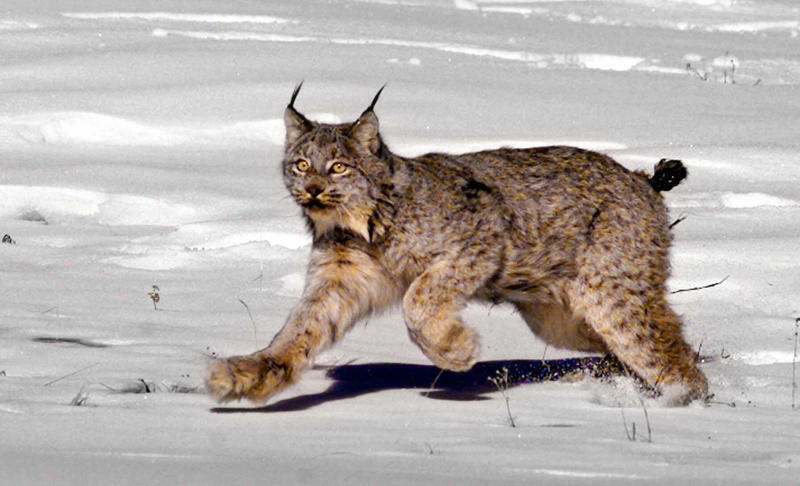 Federal wildlife officials say the nation’s once-threatened population of Canada lynx is in recovery, and can be taken off the endangered species list. The move caps years of controversy over the species’ health in Maine. 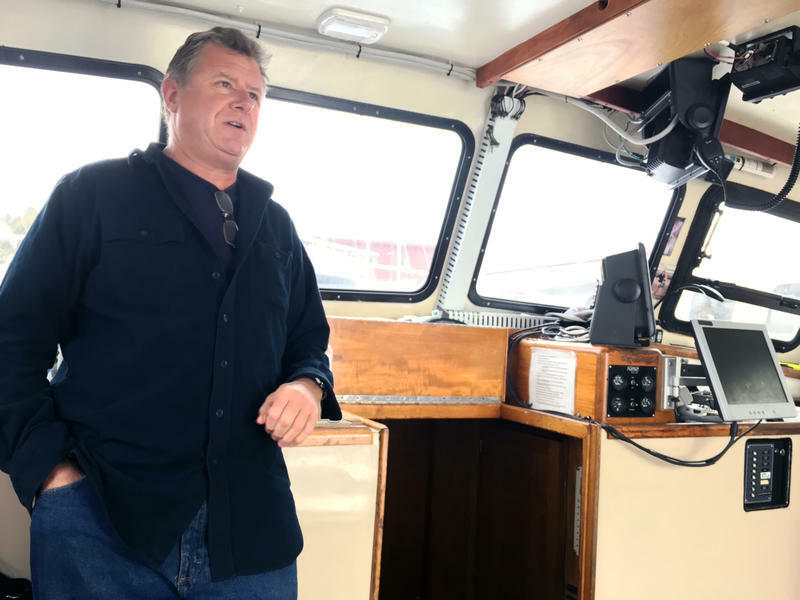 Federal regulators are shutting down fishing rights for a significant portion of New England’s stressed groundfish stocks, such as cod and flounder. 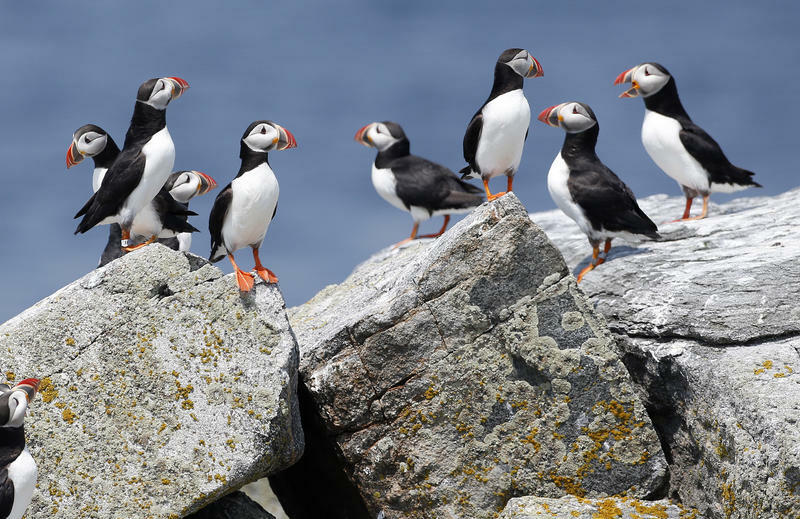 The National Oceanic and Atmospheric Administration says managers for a New Bedford, Massachusetts-based sector undermined conservation goals while disgraced fishing magnate Carlos Rafael was falsifying catch reports.